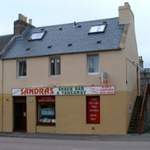 In the centre of Thurso, the northern-most town on the UK mainland and an ideal base for Caithness, to explore the North coast, before and/or after a trip to the Orkney Islands and for Lands End to John o'Groats runs. 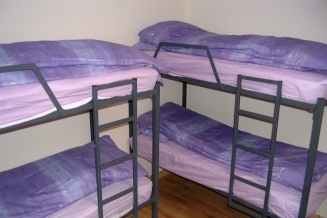 Accommodation for up to 30 in eight en-suite dorm-style rooms, with multiple bunk beds, along with twins and doubles, with all bedding provided and continental breakfast included. 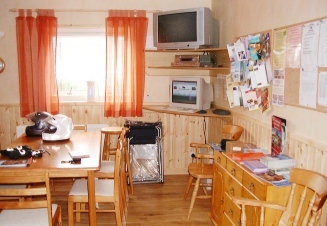 Equipped kitchen or if you do not feel like preparing your own food, all residents are eligible for a 10% discount on food from the adjacent Sandra's Snack Bar. 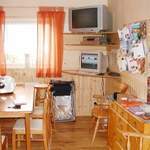 Centrally located, within easy reach of amenities such as pubs, takeaways, restaurants, nightclub, shops, gardens, the sea-front and Thurso river. Ground-floor disabled facilities, laundry and drying available, secure Motorcycle storage and parking.